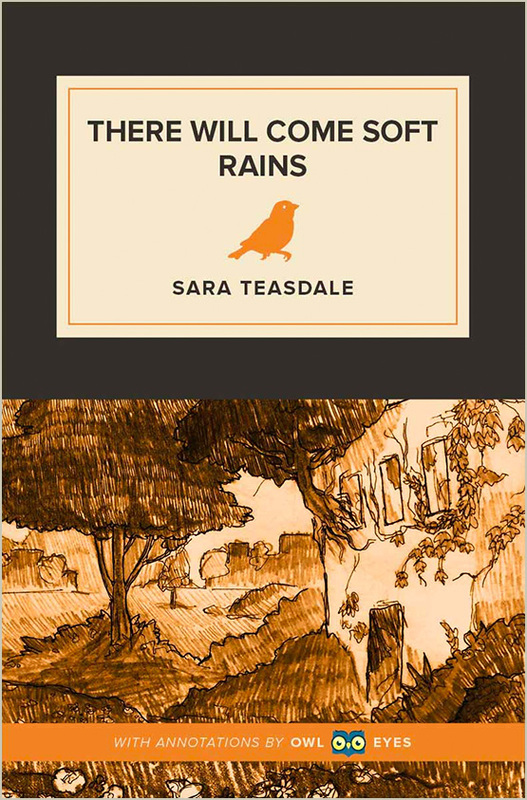 Sara Teasdale’s “There Will Come Soft Rains” was published in 1920 in her poetry collection Flame and Shadow, only two years after the end of WWI. The devastating effects of the newly developed chemical warfare brought with it an increased awareness of the darker sides of human technological advancement. This advanced warfare meant a higher number of casualties, but it also meant that humans were now able to affect the environment in far more considerable ways, with visible consequences. Teasdale’s poem comments on these disastrous modern changes but leaves the reader with a humble, even somewhat hopeful, message in these darker times: The destruction of the war will pass, human suffering will end, and nature will renew itself once again.